If you like to sing in the shower, you might also enjoy talking to your bathroom. Voice activated, high-tech lighting and music are just two of the new technologies now available in the smart bathrooms category. Mirrors can do more than simply reflect your natural good looks. Now, you can enjoy automatic fine tuning of light, or heating controls that do away with condensation. Digital shower heads can help create the perfect environment for your bathroom acapella performances, with the capability of playing music and connecting to your Bluetooth devices. Preferred water temperature can also be digitally controlled, and LED lights can tell you when the water conditions are at your perfect setting! 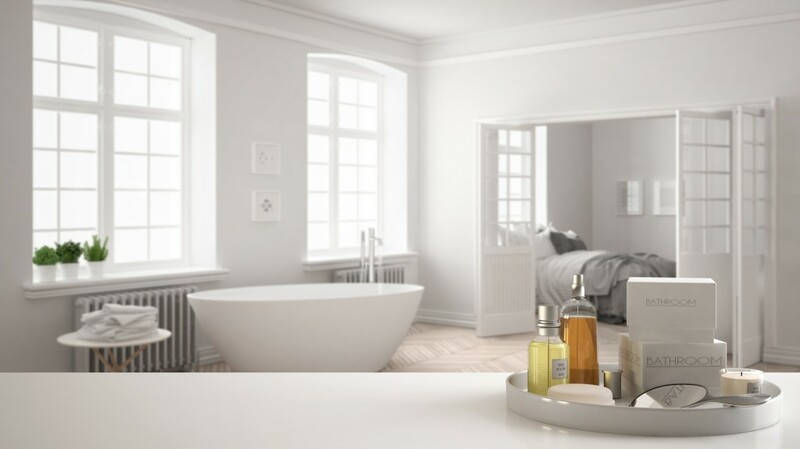 Read about 7 Smart Bathroom Trends for 2018 in this article from The Ambient. Thinking of building a custom home with smart features? Your smartest move is to contact Sal Paone Builders! This entry was posted on Wednesday, December 12th, 2018 at 2:00 pm and is filed under Home Maintenance Tips, Homeowners. You can follow any responses to this entry through the RSS 2.0 feed. You can leave a response, or trackback from your own site.